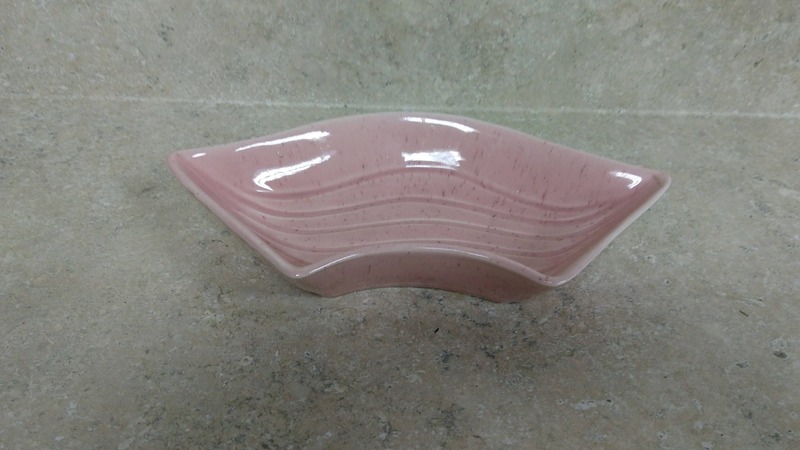 One of 4 California Pottery Outer Relish Condiment Snack dishes to a beautiful mid century Ceramic Lazy Susan Set. 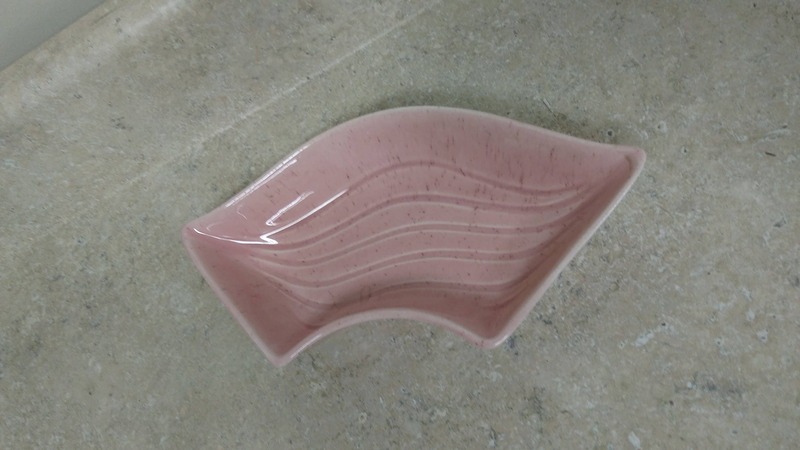 I have two pink and this one beige dish to this set. 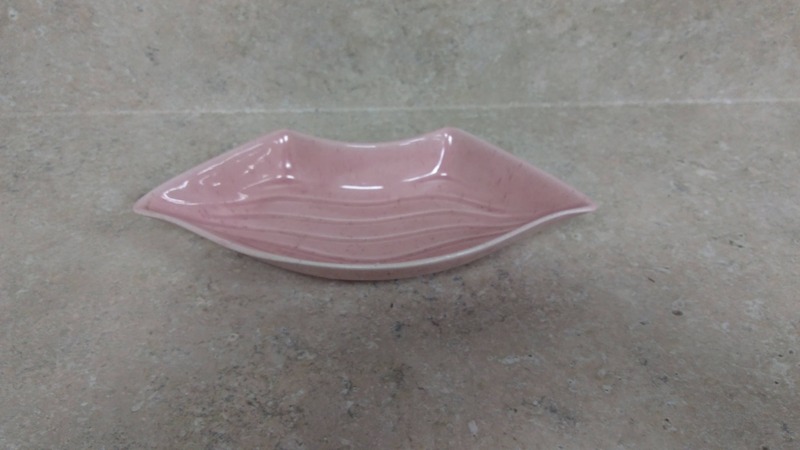 The dish measures 4.5 inner to outer edges and 9 inches wide outer pointed edge to pointed edge. Miraculously there are no chips cracks in this bowl. We combine shipping on multiple item purchases as possible. 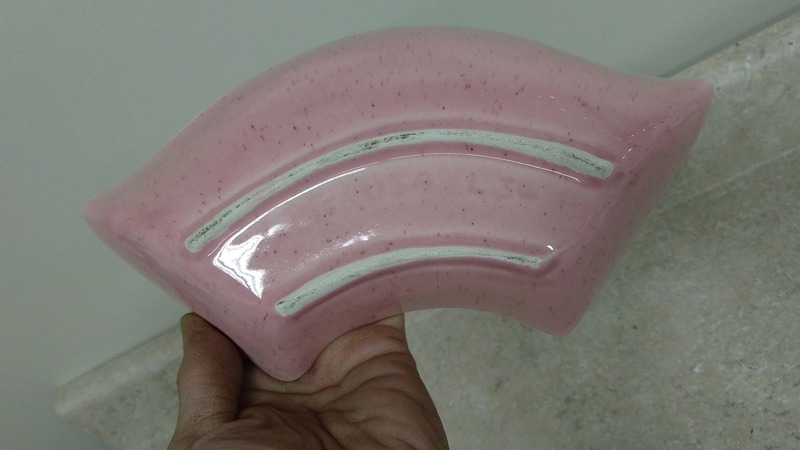 Browse more California Pottery Pieces and sets.